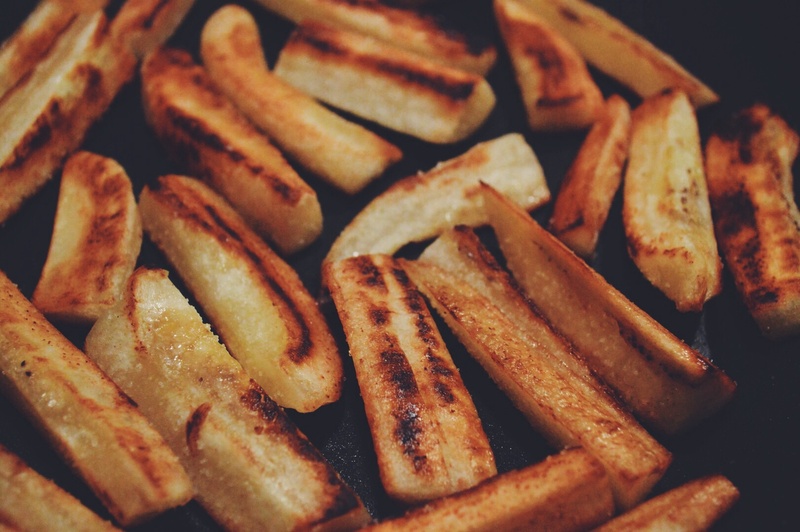 Yeah, you read that right—these are potato-less fries. 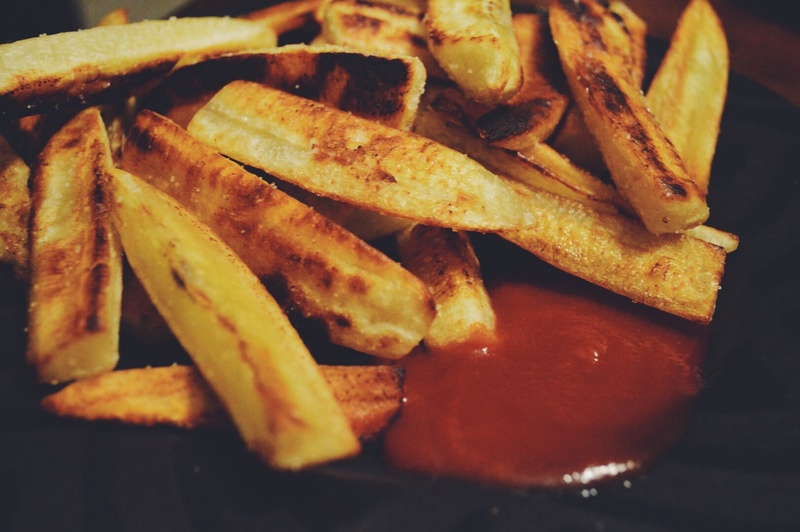 Eating Jain doesn’t mean you have to miss out on fries! In fact, they taste identical, probably even better. Plantains make the best potato substitute for Jain recipes, even in dishes like Paav Bhaji! Simple and quick, this recipe makes a great kick-back snack. I do not deep fry them in order to keep these fries as healthy as possible. You might also try baking them! 1. 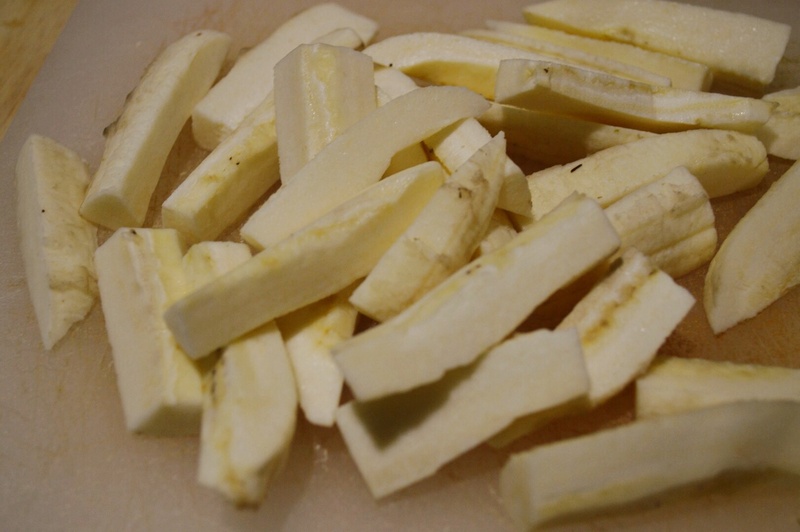 Remove plantain from skin and slice into strips about 3 inches long, 1/2 inch wide. Finely slice out any seeds or tough white membrane. 2. Heat coconut oil in pan. 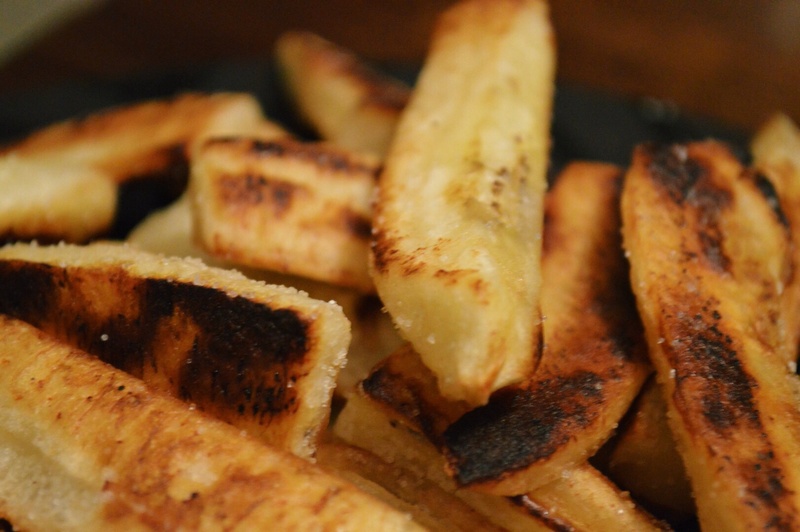 Toss in plantain slices and shallow-pan fry them for 5-7 minutes. Make sure you toss them to ensure all sides are browning evenly. 3. 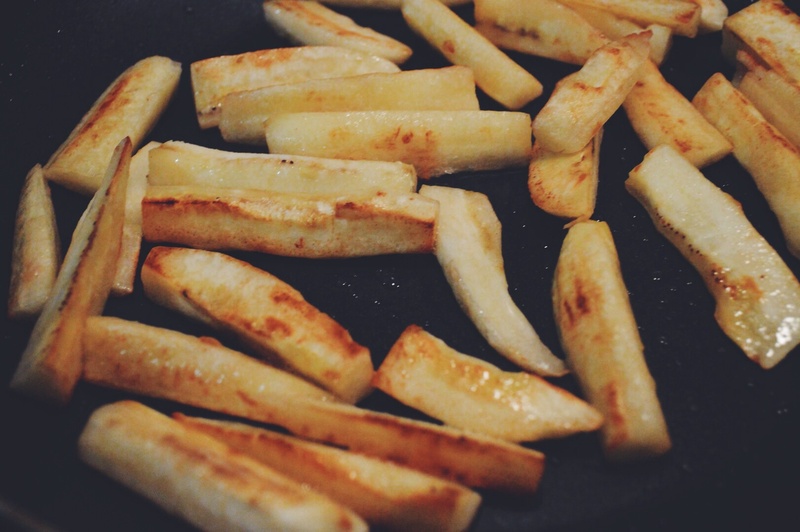 Sprinkle salt over the fries and toss again.